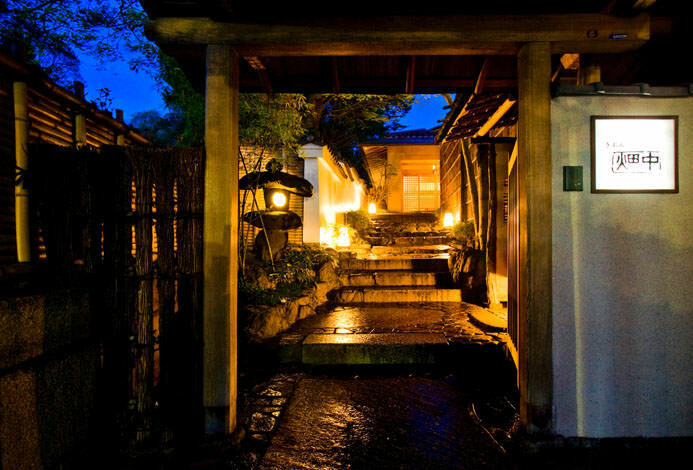 This cozy Kyoto-style inn hidden among the old townhouses of Kyoto is replete with the ambience of the ancient capital, and is only a 3-minute walk from Yasaka Pagoda. It is a space where you can enjoy an experience of the real-life milieu of ancient Kyoto, and authentic Kyoto Kaiseki cuisine prepared using traditional seasonal Kyoto vegetables. Housing only 7 guest rooms total, each equipped with a cypress bath, guests can truly take in and appreciate total tranquility, ultimate relaxation the Japanese way and get immersed into the Kyoto culture with its 1,000 years of history. This time I used it for my daughter's birthday trip. It was a wonderful memorable trip with a wonderful smile, hospitality, and thoughtfulness of everyone of our staff. Thank you very much. I also want to stay when I have a chance. Cooking was very good. Mr. Aida will be in trouble, but please do its best. 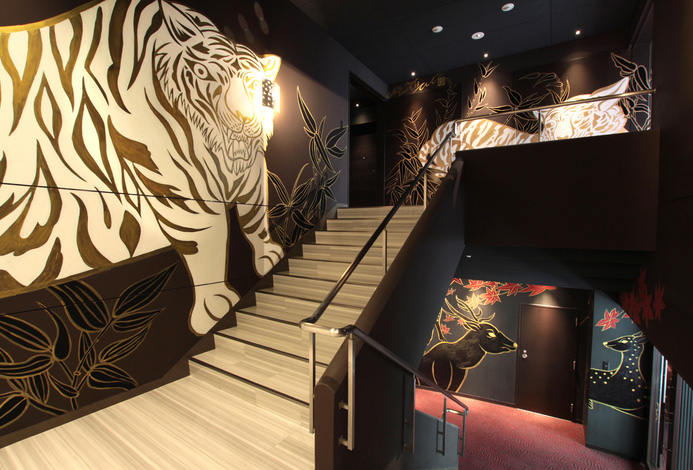 Although it was used for the first time this time, the town shop was renovated and a space with a small but clean feeling was produced, and the people of the front desk were able to stay comfortably well, perfectly. It was surprisingly surprising that drinks and beer in the refrigerator was free. Overall, I felt a well-designed and calm service, I stayed comfortably, but if you let me point out two points just let me point out that indoor hinoki bath was good with good smell, but bath It was regrettable that the frosted glass above was dirty. It will be even better if you drain off with water from above. Also, when I got breakfast it was disappointing that the clothing of the kimono of the female staff was mixed. When dishes were put, I was surprised to hear that the kimono of the kimono was included in the previous dish but I did not mind it. As a young person, I think that I am not used to kimono, but I think that it would be better to serve customers with clothes all the time. I hope to have a wonderful inn. Serves Kyo Kaiseki (traditional Kyoto course-style meal) cuisine with seasons' freshest ingredients and delicate seasoning, prepared by our master chef who has worked as a master chef at a prestigious traditional Japanese-style restaurant in Gion, Kyoto. It's not just the ingredients and cooking we pay special attention to. We hope you'll enjoy the decoration and cutlery used to depict each season's atmosphere. Our Kyo Kaiseki is sure to please your eyes as well as taste-buds. All guest rooms are equipped with cypress baths. Enjoy the healthy sterilizing effects and the woody aroma of cypress to relax your body and mind. Located on our garden level, this lounge with a welcoming atmosphere awaits you with various literature on Kyoto, magazines and computers. 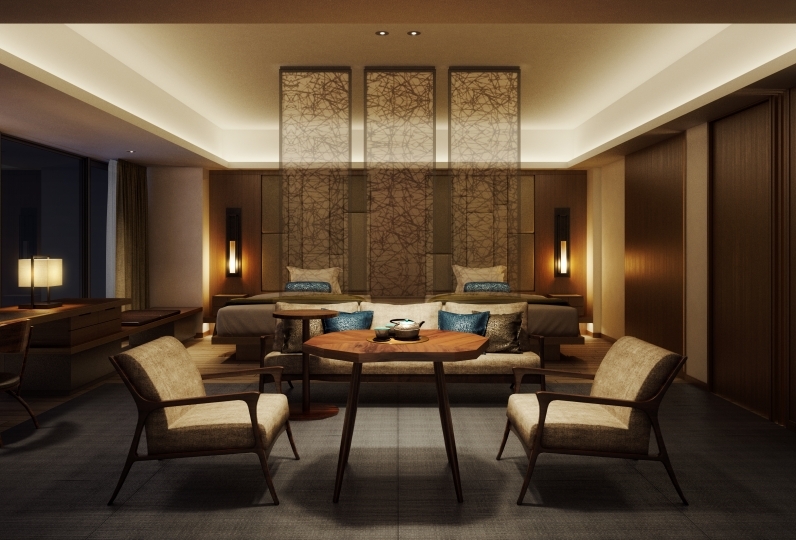 Sit back, relax with a cup of coffee, black tea of Japanese tea and plan your travels ahead. 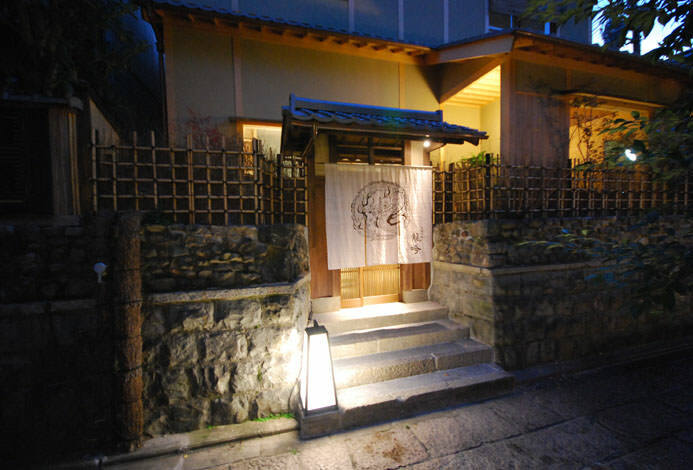 Our ryokan is located within convenient walking distances from the major tourist spots. We are more than happy to store your luggage before checking in and after checking out of the ryokan. - Children under the primary school ages may not stay at our ryokan. 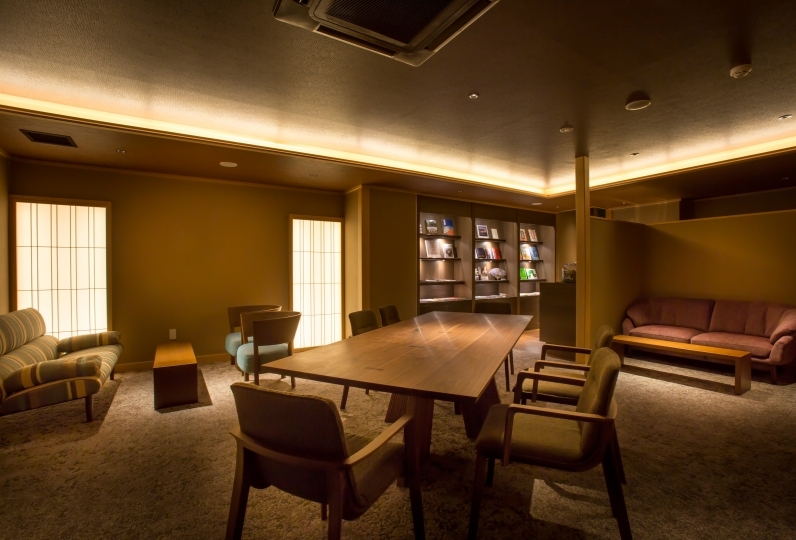 - Smoking is prohibited throughout the ryokan premise. - We do not have a parking lot. Please use a for-fee parking lot nearby. 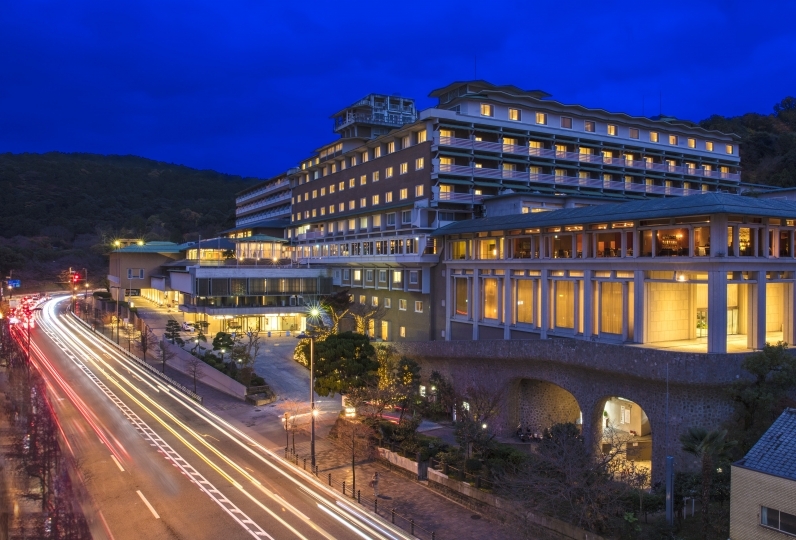 - Guests arriving by taxi: Tell your driver to drive 150m toward east on Kodaiji Minamimon Dori (road) which leads to the Kodaiji parking lot, to the final destination of Maeda Coffee, which is located on southern side (our ryokan is right next to Maeda Coffee). - We are more than happy to store your luggage before and after checking into the hotel. - By bus: Take bus 206 from platform D2 or bus 100 from platform D1, ride for approx. 20 minutes, get off at Kiyomizudo bus stop, and walk for about 5 minutes.